This ARC Insight discusses how Fractionation Research, Inc. successfully implemented procedural automation in its commercial-scale pilot plant to help save energy, while improving both knowledge transfer and safety. As the intentionally counter-intuitive industry expression goes, "All processes are batch processes to some degree." This reflects the reality that even in so-called "continuous" process plants, the units will need to be shut down at some point and then restarted to resume production. And whether performing unit startups or shutdowns (planned or unplanned) or making grade changes, production rate changes, switching feedstocks, or even performing maintenance work during turnarounds, plant personnel must perform specific procedures correctly and in the correct order to ensure smooth plant operation, worker safety, and environmental compliance. In most process plants today operators perform many procedures manually, introducing unnecessary variability and the potential for human errors. ARC believes that by implementing procedural automation, process plants can minimize variability to help ensure smooth, efficient, and safe state transitions. While the goal of most continuous process plants is to achieve and maintain steady-state operation for weeks, months, or longer, this is not the case for most pilot plants, where startups, shutdowns, and transitions can occur almost on an hourly basis. To help reduce fuel consumption, improve safety, and enhance knowledge transfer at its own commercial-scale distillation pilot plant in Stillwater, Oklahoma, Fractionation Research, Inc. implemented procedural automation in 2011 with encouraging results. Fractionation Research, Inc. (FRI) is a non-profit research organization formed in 1952 to perform plant-scale research into petroleum distillation columns to help improve efficiencies, yields, and safety. While the organization initially had a North American focus, current FRI members include approximately 70 leading global petroleum refining, chemical, and engineering companies. With its small staff of mostly Ph.D. chemical engineers plus a handful of process control board operators, field operators, and maintenance technicians, FRI currently operates a commercial-scale pilot plant/test bed on the Oklahoma State University (OSU) campus in Stillwater. The pilot plant includes two distillation columns (one high-pressure, one lowpressure) plus associated boilers, condensers, cooling water towers, etc. While separate entities, FRI does share some IT resources with OSU and draws upon the university's expansive talent pool to assist in its research projects. According to Arthur "Pete" Parker, FRI's president, "While our day-to-day charter is to look at what goes on inside distillation columns, in the last two years, we started doing parallel projects that could also have potential value for our members. This procedural automation project is one example." While commercial refineries typically aim to maintain safe and efficient steady state conditions for as long as possible (with planned shutdowns only every two to six years); as a research facility, FRI typically starts up and shuts down it's process units around 20 times per year, performing several operating condition transitions each day. It runs ups to 15 different chemical systems at pressures that range from high vacuum to 525 psia. What's more, the only way to test capacity is to intentionally flood the column, something that a commercial refinery would try its best to avoid. In this type of operating environment, it's obvious that reducing the number of manual control actions required to shut down the units safely and reach FRI Pilot Plant at OSU in steady state following startups and transitions could provide significant safety and other benefits. Before initiating the project, FRI controlled and collected operating data in its pilot plant using a small-scale Yokogawa DCS and performed most analyses using spreadsheets. While the DCS handled steady-state process control, operators performed the relatively frequent startups, shutdowns, and transitions manually. As a result, the speed in which steady-state operations could be achieved depended on the skill and experience of the individual operator performing the procedure. This often resulted in lessthan- optimum energy consumption and occasionally raised safety concerns. "Procedural automation appealed to us because we're interested in safety and we thought this would help our younger, less experienced operators operate the unit in a way that is closer to how our senior operators do it. We were also interested in more uniform operation, since natural gas to produce steam is our second largest cost area," said Dr. Parker. "We thought procedural automation could reduce our time to steady state and thus reduce energy consumption to a significant degree." In November 2010, FRI and Yokogawa announced that the two organizations would collaborate on automating and optimizing startup, shutdown, and transitions in the facility's two distillation units. 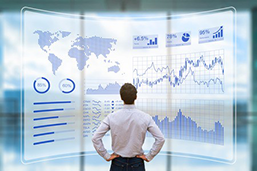 To support this effort, Yokogawa and FRI implemented an Exaquantum historian application to improve data collection, retrieval, analysis, and visualization prior to implementing Yokogawa's Exapilot Modular Procedural Automation (MPA) solution. The historian collects data from the pilot plant's CENTUM CS 3000, which had been upgraded in 2008. The procedural automation implementation required close collaboration between FRI and Yokogawa personnel, including bi-directional knowledge transfer and a significant amount of training. To determine best practices, the FRI/Yokogawa team carefully evaluated existing procedures and an experienced FRI board operator documented how he performed startups, shutdowns, and setpoint changes. The team then captured these best practices in the Exapilot software, which created the flowcharts needed to develop appropriate automation logic. For those procedures that did not lend themselves to full automation, Exapilot also generated some guided, semi-automatic procedures. The team then jointly reviewed and tested the automated and semiautomated procedures and validated the logic, making adjustments as needed. For the initial trial runs, the procedures were performed run in offline mode to ensure that the operator had full control at all times. According to Dr. Parker, after further fine-tuning and experimenting with it for several months, the operators finally began to accept the technology and use it with some frequency. According to FRI Associate Research Engineer, Anand Vennavelli, who was not present for the initial MPA implementations, but led the project soon after assuming his current position at FRI early in 2011, "When developing procedures, it's necessary to understand why it's being done the way it is being done. For example, why do some operators perform 'Step A' before 'Step B,' and others do it the other way around? The process begins by first organizing the procedure logic on paper and then recreating it in the software. Engineers and operators must work together to decide the best practices for any given procedure. At FRI, we initially get input from all our operators, but the best and most experienced operator always reviews and validates it. " Dr. Vennavelli also explained some of the benefits of choosing Yokogawa's MPA solution. "A typical procedure can involve 20 or 30 steps. The software groups many individual steps together in a modular fashion as reusable units—such as changing the steam rate to the reboiler—and comes with many pre-built, configurable templates for common procedures such as for moving valves or setpoints at a desired rate." The initial implementation included automating procedures for startups and shutdowns and making setpoint changes to improve consistency on total reflux and other types of runs. The Yokogawa historian, installed as part of this project, also provides FRI with major benefits, making it far easier to capture, store, aggregate, and analyze data to support its various research efforts for clients. FRI ultimately succeeded in reducing the time it takes to collect a data point after making a set change in the unit from three hours to approximately one hour for many of its runs. Much of this benefit came from the fact that the historian enabled FRI to collect a much greater volume of data, allowing system dynamics to be studied in detail. Procedural automation also contributed to this improvement by making the execution of the procedures more consistent. Dr. Parker stressed that other organizations considering implementing procedural automation should be sure to have a dedicated operator watch the entire operation and not hesitate to get their supplier(s) involved immediately, if needed to resolve any issues or problems that might arise. "Based on our experience, following a single failure, it takes many, many positive experiences to regain the operators' confidence and acceptance." Vennavelli also offered some good advice. "It's important to keep initial procedures simple to ensure that, even if they're not flashy, at least you can be confident that they will work. The simpler the procedure, the greater the chance it will be robust. And, based on our experience, following a single failure, it takes many, many positive experiences to regain the operators' confidence and acceptance." 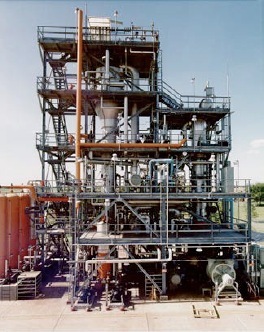 According to Dr. Parker, future procedural automation-related projects could involve switching among the pilot plant's three operating modes: total reflux, top feed runs, and top product runs; as well as possibly creating automated procedures for performing gamma scans on the equipment that enable FRI personnel to view the vapor/liquor distribution in the column. Clearly, while most continuous process plants strive to maintain steady state operation for as long as possible, at some point, process units need to be shut down for maintenance turnarounds or equipment upgrades (planned) or in response to abnormal situations (unplanned). Furthermore, increasingly, owner-operators in refineries, petrochemical plants, and other continuous process plants face pressure to increase operating flexibility to be able to accommodate dynamic market requirements and different feedstocks. In refineries, the latter include heavier, lower cost crude feedstocks and "opportunity crudes." These all require more frequent setpoint changes and other transitions, increasing the value proposition for implementing procedural automation. Evidence suggests that several wellpublicized industrial accidents in recent years occurred because procedures were not followed properly. ARC believes that procedural automation could have helped avoid many of these incidents, or at least significantly minimized the human and environmental consequences. Evidence also suggests that several wellpublicized industrial accidents in recent years occurred because procedures were not followed properly. ARC believes that procedural automation could have helped avoid many of these incidents, or at least significantly minimized the human and environmental consequences. In other words, procedural automation technology offers the potential to help industrial enterprises reduce risk, which is always at the executives minds. For further information or to provide feedback on this Insight, please contact your account manager or the authors at pmiller@arcweb.com and jblanchard@arcweb.com. ARC Insights are published and copyrighted by ARC Advisory Group. The information is proprietary to ARC and no part may be reproduced without prior permission from ARC.